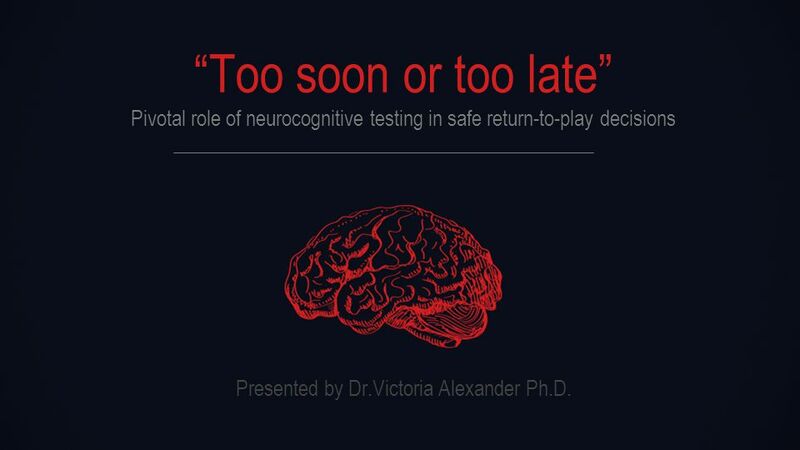 “Too soon or too late” Pivotal role of neurocognitive testing in safe return-to-play decisions Presented by Dr.Victoria Alexander Ph.D.
1 “Too soon or too late” Pivotal role of neurocognitive testing in safe return-to-play decisions Presented by Dr.Victoria Alexander Ph.D.
3 Concussion Cause o Usually direct blow to the head or body Consequences o No obvious damage to brain anatomy o Primarily a disturbance in brain physiology o Loss of consciousness not necessary o Amnesia and other markers equally important o Traditional medical tests and CT/MRI scans usually normal Presented by Dr.Victoria Alexander Ph.D.
4 Neurometabolic Changes & Concussion Presented by Dr.Victoria Alexander Ph.D.
5 Lovell et al, 2004, N = 215 # 1 Headache 71 % # 2 Cognitive Slowing58 % # 3 Difficulty concentrating 57 % # 4 Dizziness 55 % # 5 Fogginess 53 % # 6 Fatigue 50 % # 7 Visual Blurring/double vision 49 % # 8 Light sensitivity 47 % # 9 Memory dysfunction 43 % # 10 Balance problems 43 % Commonly Reported Symptoms Within 3 days of injury Presented by Dr.Victoria Alexander Ph.D.
6 Statistics Up to 3.8 million concussive injuries occur per year in the US 80% of sports-related concussions go unreported An athlete who sustains concussion is 4-6 times more likely to sustain a second concussion Woman are more at risk for concussion than men (Cavassin et al., 2003; Delaney et al., 2002) Head and neck injuries account for between 4 and 22% of all soccer injuries (Tysvaer, 1992) In 10 division games, players average 6 headings per game 300 games = 2000 headings (exclude practice headings) Repetitive sub-concussive events can cause equivalent if not greater damage than a single concussive event (Tysvaer & Lochner, 1991) Presented by Dr.Victoria Alexander Ph.D.
7 Sports-related Concussion Myths and Realities Concussion Myths o Concussions are always minor injuries o Concussions always get better in a few weeks o Concussions always get better on their own o Athletes can usually return to play within a few days Concussion Realities o Concussions are brain injuries o Untreated concussions can result in disability and death o Multiple factors influence recovery from concussive injury i.e. 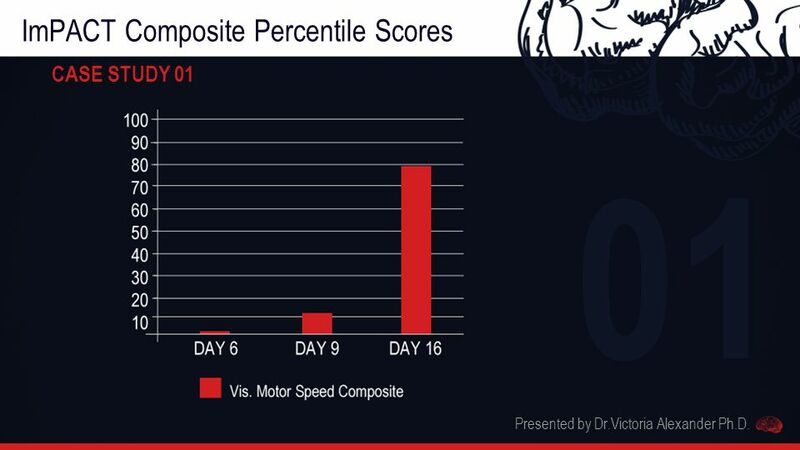 Severity and site of the injury, Number of prior concussions, Cognitive reserve including educational and intellectual capacity, presence of learning disability, psychiatric disorder, prior neurological disease, genetic factors etc. 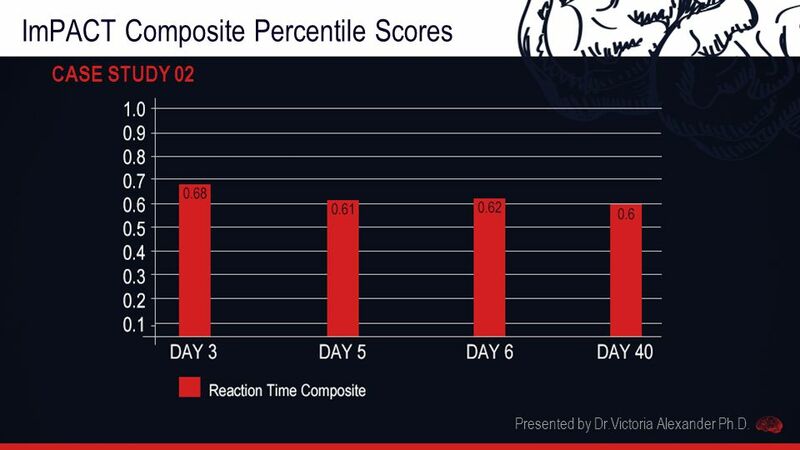 o Repetitive, long-term exposure to sub-concussive blows can increase athlete’s vulnerability to CTE Presented by Dr.Victoria Alexander Ph.D.
8 Chronic traumatic Encephalopathy (CTE) Progressive neurodegenerative syndrome Single, episodic or repetitive blunt force impacts to the head Can occur co-morbidly with other conditions (e.g. 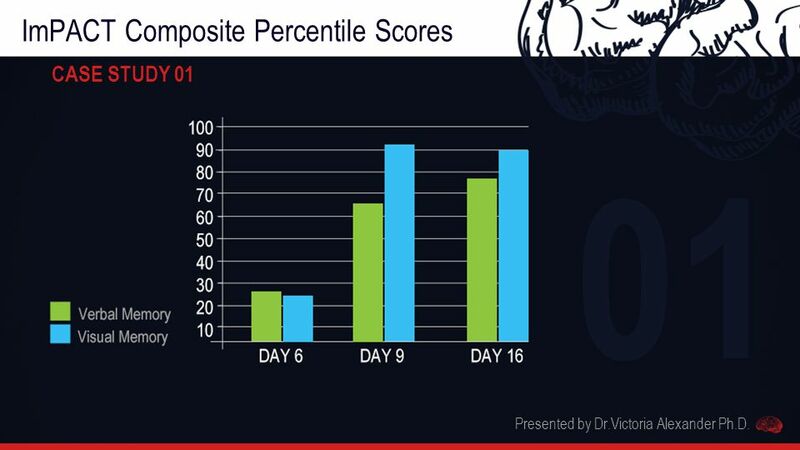 PTE) Recent studies show that in a series of post-mortem studies of athletes with a history of MTBI, 80 % showed CTE neuropathologic changes (McKee et al., 2013) o Positive correlation between duration of exposure to repetitive concussive events and risk of developing CTE o Prevalence rates of CTE increases with age and may resemble AD o Symptoms include mood disorders, behavioural and cognitive impairments Presented by Dr.Victoria Alexander Ph.D.
9 ? 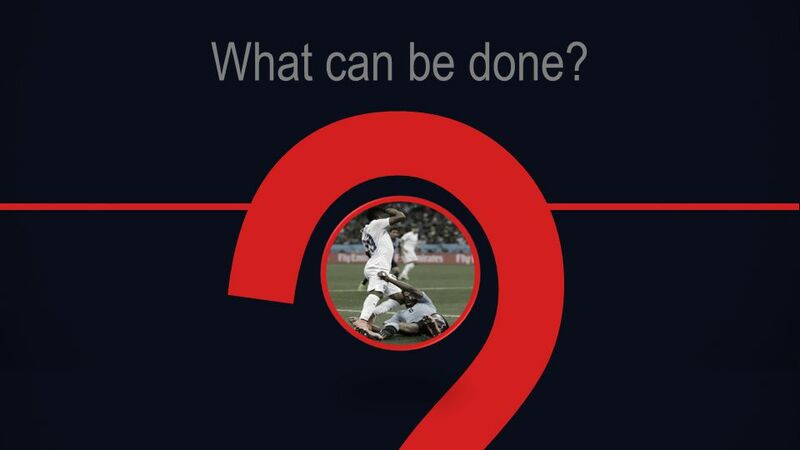 What can be done? 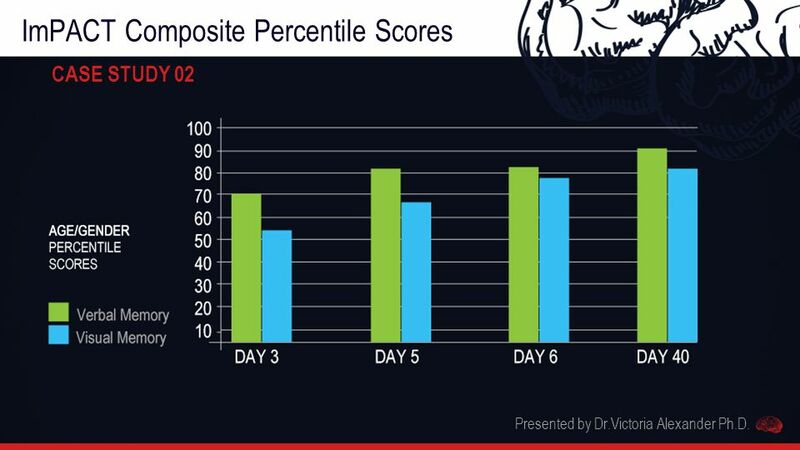 10 Concussion Management Mandatory three week rule arbitrary, not empirically based and discredited Guidelines based on Grades of Concussion are variable and unreliable CT and MRI insensitive to subtleties of injury Side-line assessments? 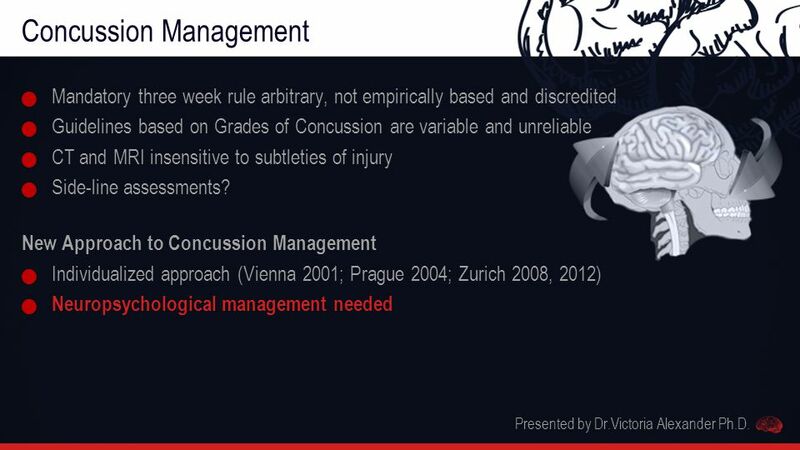 New Approach to Concussion Management Individualized approach (Vienna 2001; Prague 2004; Zurich 2008, 2012) Neuropsychological management needed Presented by Dr.Victoria Alexander Ph.D.
11 Can we trust what the athlete tells us? 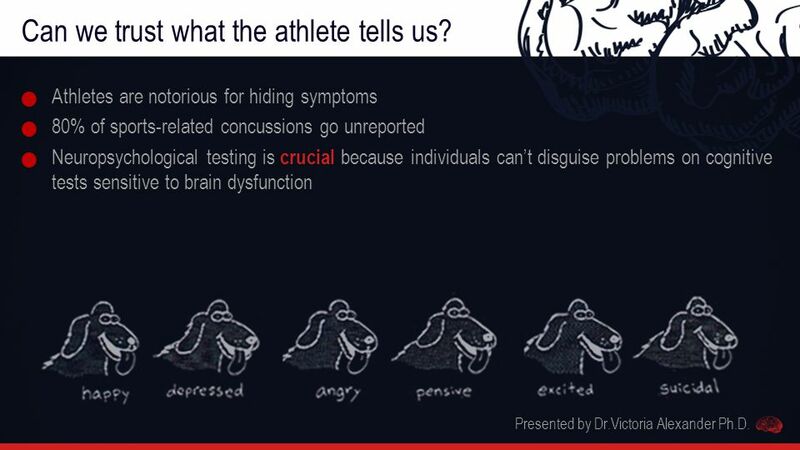 Athletes are notorious for hiding symptoms 80% of sports-related concussions go unreported Neuropsychological testing is crucial because individuals can’t disguise problems on cognitive tests sensitive to brain dysfunction Presented by Dr.Victoria Alexander Ph.D.
12 Im mediate P ost-Concussion A ssessment and C ognitive T esting Specifically designed for management of sports-related concussion; currently most widely used test worldwide Provides an objective measure of recovery; Excellent validity and test reliability (Lau et al. 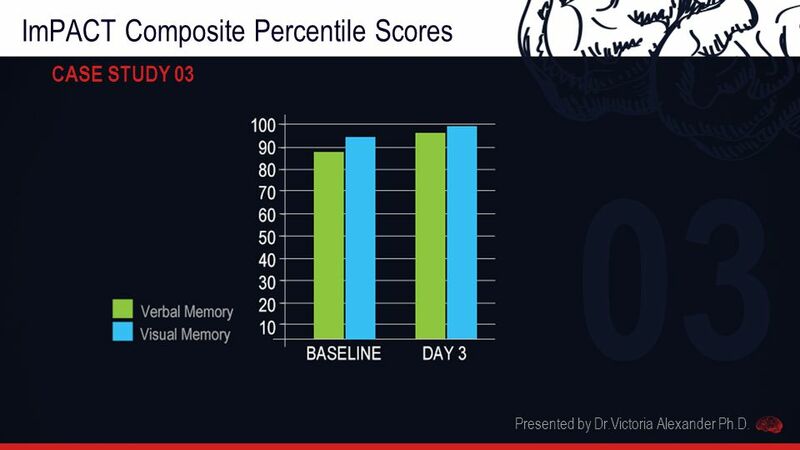 2011, AJSM; Thomas et al. 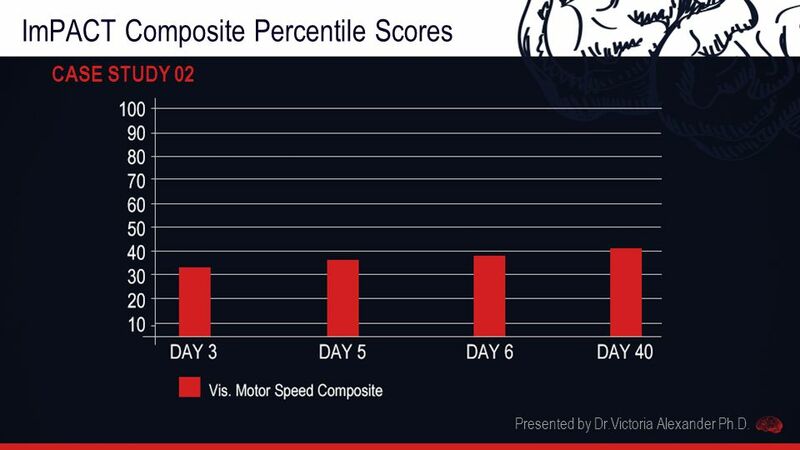 2011, Ac Emer Med) Spectrum of Neurocognitive indicators (not yes/no single indicator) including verbal memory, visual memory, visual motor processing speed and reaction time; cognitive efficiency index Post-concussion Symptom Scale Quick and easy to use: 25-30 minute web-based computer test Available in 16 languages Ages 11-65 years Presented by Dr.Victoria Alexander Ph.D.
13 Concussion Evaluation Time-Line Presented by Dr.Victoria Alexander Ph.D.
14 Continuum of Care Presented by Dr.Victoria Alexander Ph.D.
15 ? 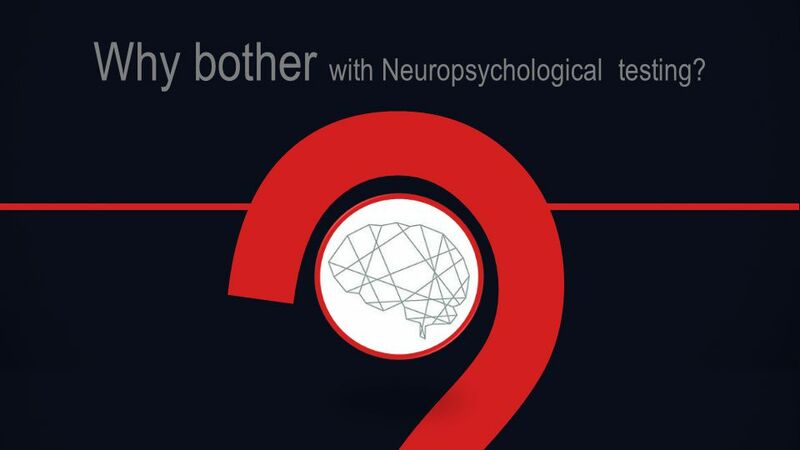 Why bother with Neuropsychological testing? 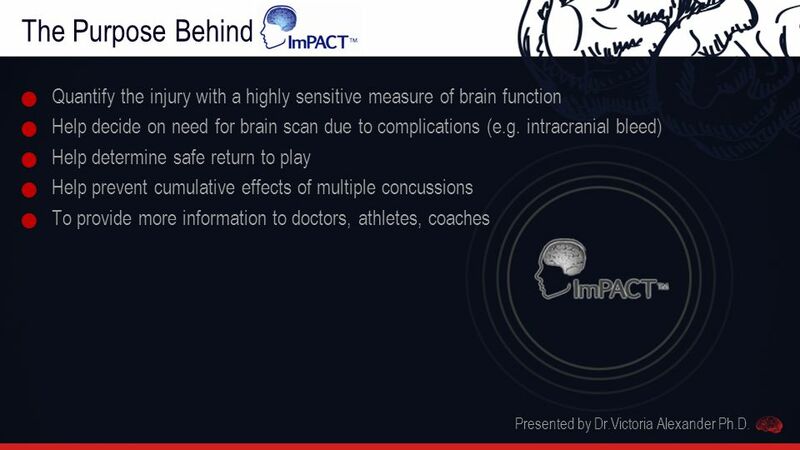 16 The Purpose Behind ImPACT Quantify the injury with a highly sensitive measure of brain function Help decide on need for brain scan due to complications (e.g. 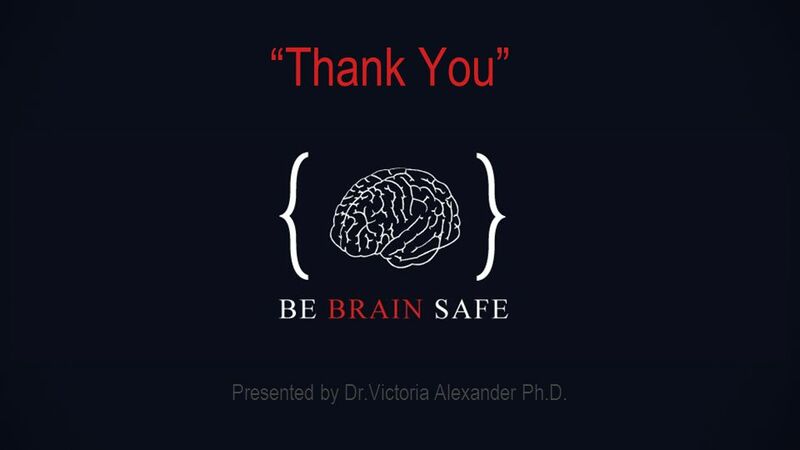 intracranial bleed) Help determine safe return to play Help prevent cumulative effects of multiple concussions To provide more information to doctors, athletes, coaches Presented by Dr.Victoria Alexander Ph.D.
17 Contribution of Neuropsychological testing to concussion management Testing reveals cognitive deficits in asymptomatic athletes within 4 days post-injury Presented by Dr.Victoria Alexander Ph.D.
18 Contribution of Neuropsychological testing to concussion management MANOVA p<.000000 (ImPACT Test Battery) Presented by Dr.Victoria Alexander Ph.D.
19 ? 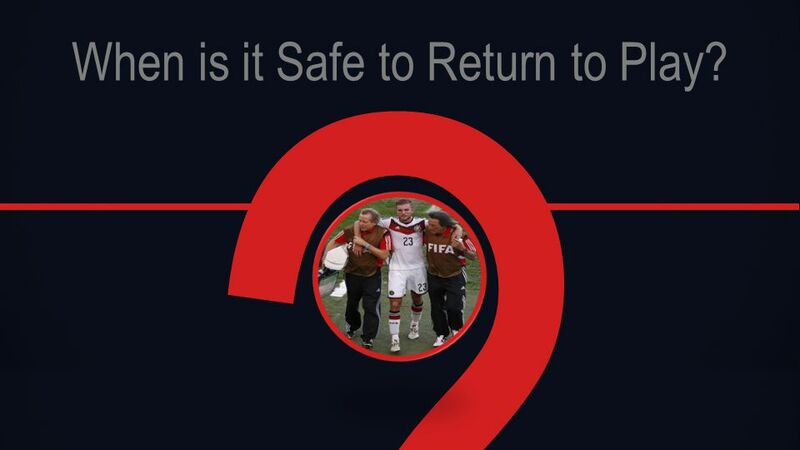 When is it Safe to Return to Play? 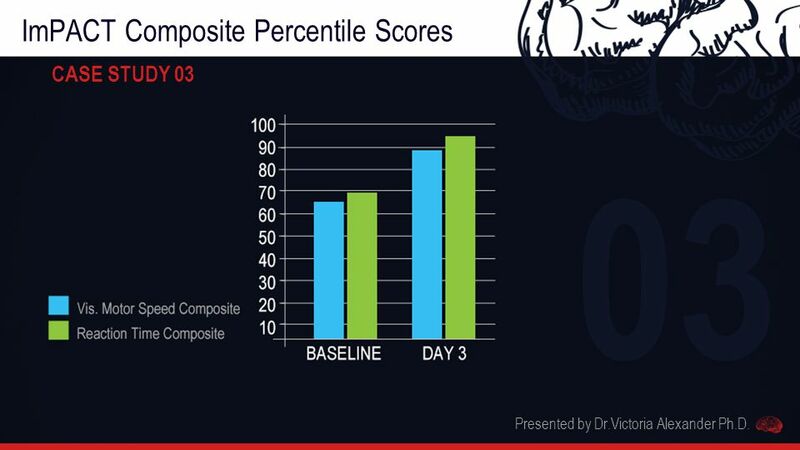 20 Recovery from concussion Presented by Dr.Victoria Alexander Ph.D.
27 ImPACT Composite Percentile Scores CASE STUDY 02 Presented by Dr.Victoria Alexander Ph.D.
33 CONCLUSIONS For protection of the athlete at high risk of concussion follow the CIS recommendation of individualized assessment that optimally includes neuropsychological assessment Use of sophisticated instrument such as ImPACT with interpretation by psychometric expert, helps to accurately quantify the injury and supplement, but not replace overall medical evaluation Group studies strongly support the sensitivity of the ImPACT test (multiple studies in spectrum of scientific journals, continuing to emerge) Three cases presented here serve to illustrate more specifically the fine clinical utility of including such evaluation, in the absence of which o Case 1 and Case 2 may have been returned to play prematurely o Case 3 might have been inappropriately removed from sport for an arbitrarily evaluated period. 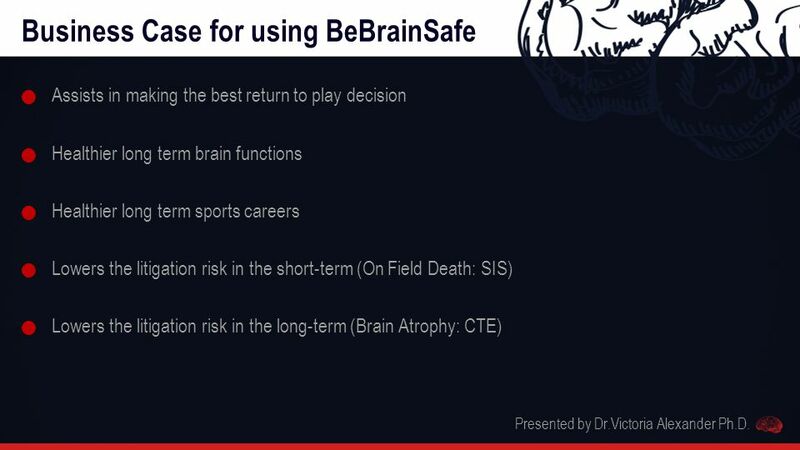 Presented by Dr.Victoria Alexander Ph.D.
34 Business Case for using BeBrainSafe Assists in making the best return to play decision Healthier long term brain functions Healthier long term sports careers Lowers the litigation risk in the short-term (On Field Death: SIS) Lowers the litigation risk in the long-term (Brain Atrophy: CTE) Presented by Dr.Victoria Alexander Ph.D.
35 ImPACT users Presented by Dr.Victoria Alexander Ph.D.
36 “Thank You” Presented by Dr.Victoria Alexander Ph.D.
Download ppt "“Too soon or too late” Pivotal role of neurocognitive testing in safe return-to-play decisions Presented by Dr.Victoria Alexander Ph.D."
Sports related concussion: Assessment and management P. Jeffrey Ewert, Ph.D., ABPP Carolina Neuroservices/The Head Injury Center Neuropsychologist – Charlotte. 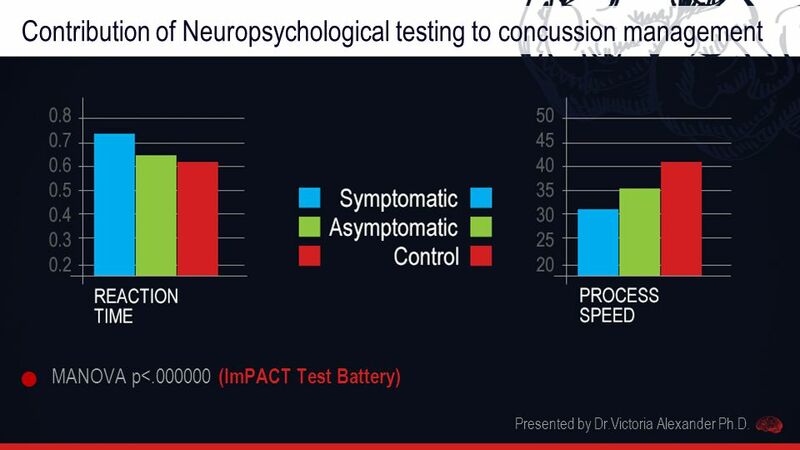 Quantify the head injuries with a highly sensitive measure of brain function. 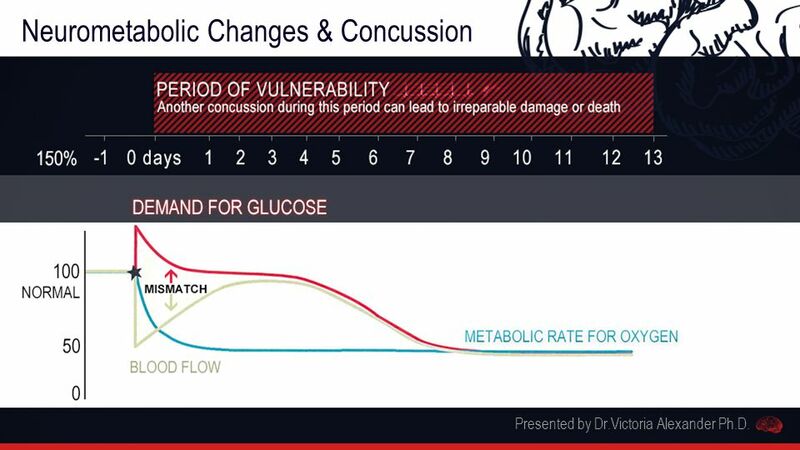 Protect the student athlete Help determine safe return to play. Help prevent. 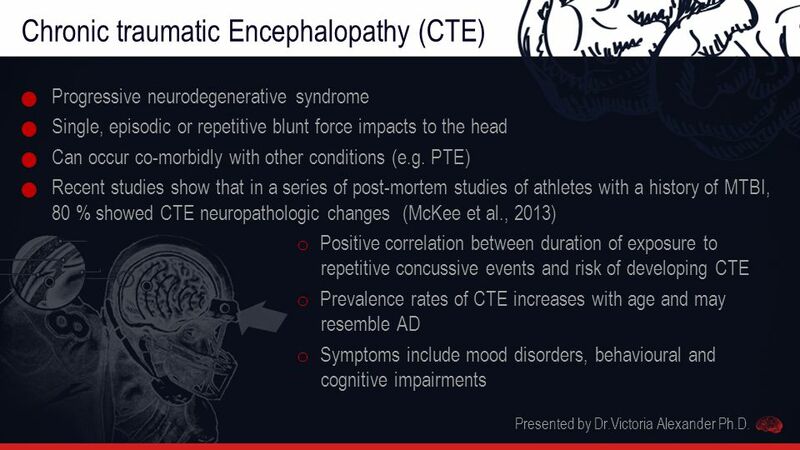 9/12/2013 Traumatic brain injury and athletes: A Clinical Sport Psychological Perspective Kendra Ogletree Cusaac, Ph.D. Licensed Clinical Psychologist. 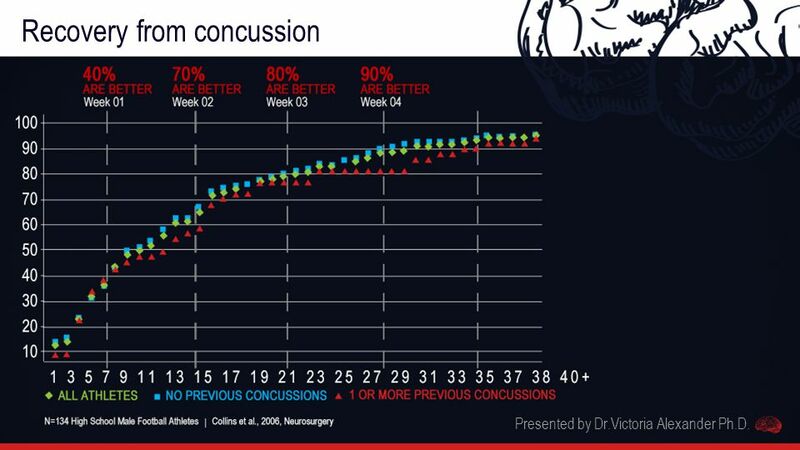 Sports-related concussion in children and adolescents. 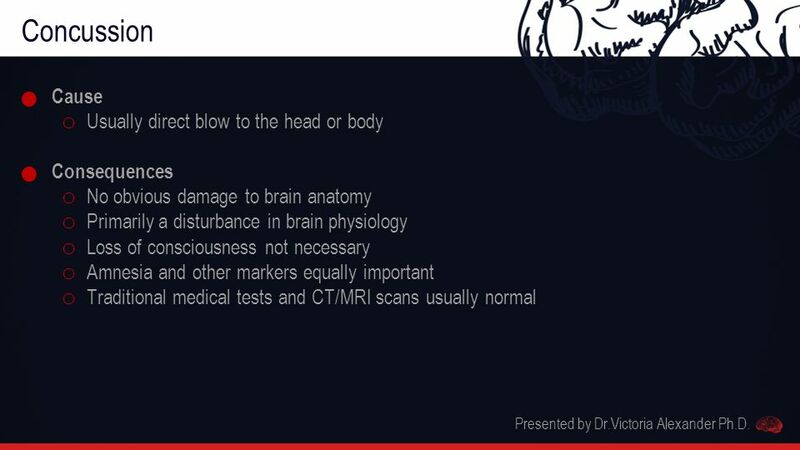 Minor Head Trauma in Children and Adolescents William Ahrens The University of Illinois at Chicago. 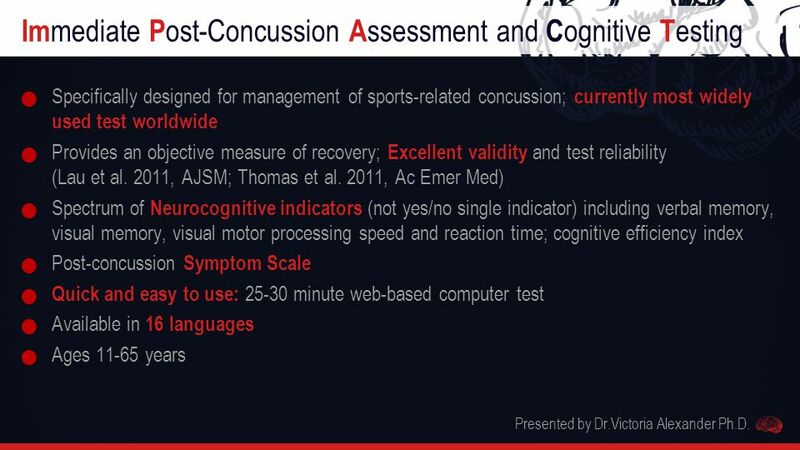 SPORTS-RELATED CONCUSSION MANAGEMENT. 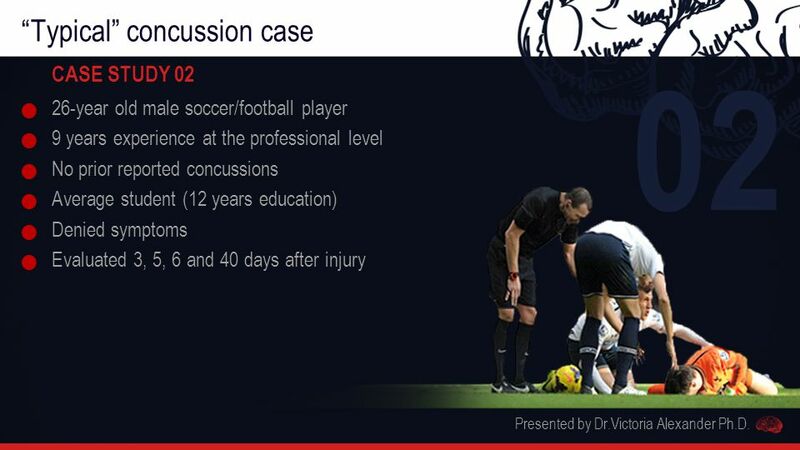 Recognizing that concussions are a common problem in sports and have the potential for serious complications if. 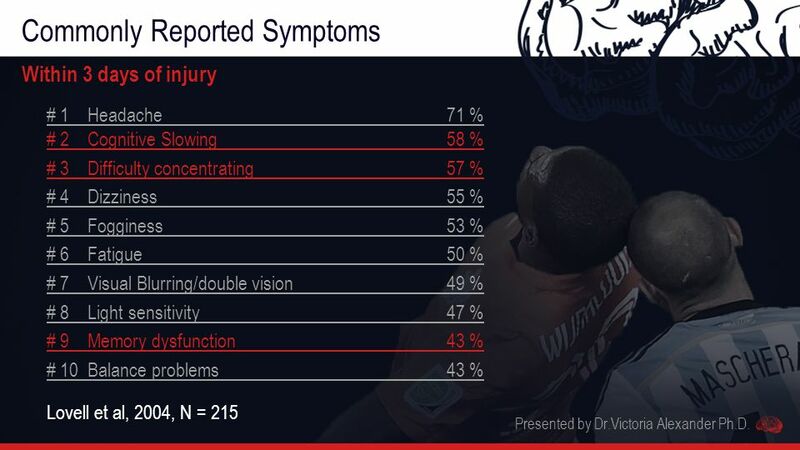 Brain Injuries in Athletics. 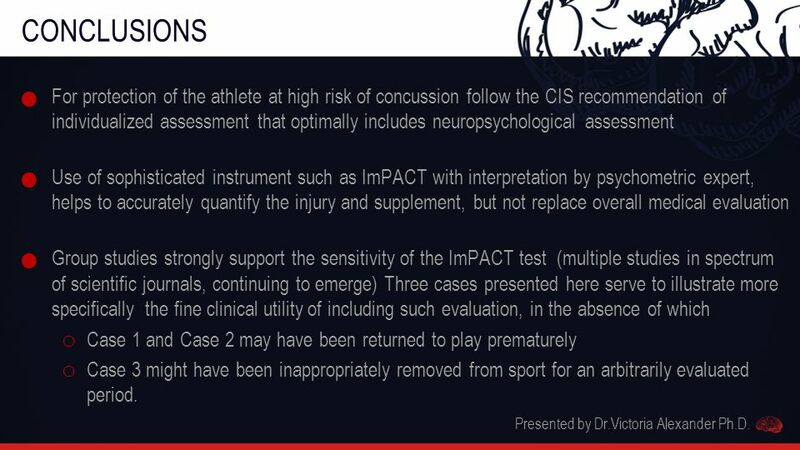 Objectives Define and explain these terms: ◦ Concussion ◦ MTBI ◦ Second-Impact Syndrome ◦ Post-Concussion Syndrome ◦ Intracranial. By Dr. Leyen Vu Resident Physician, St. Peter Hospital Sept. 28, 2010. 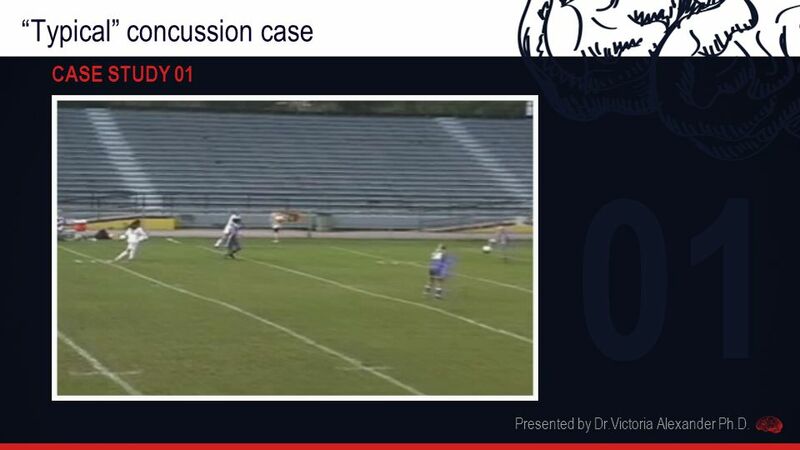 Concussions: From the Field to the Classroom Robert Jones, M.D. Medical Director UNC Charlotte Student Health Center. 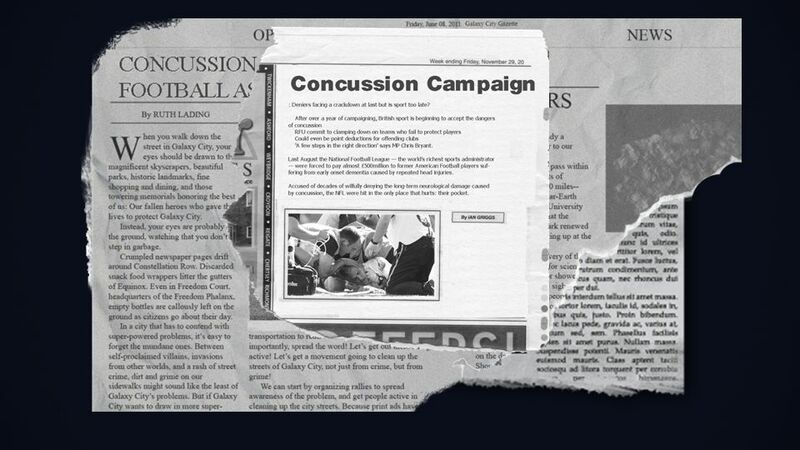 Concussion Management Training Guidelines and Procedures for Dealing with Potential Concussion. Chris Hummel, MS, ATC Clinical Assistant Professor/Athletic Trainer Ithaca College Department of Exercise and Sport Sciences. 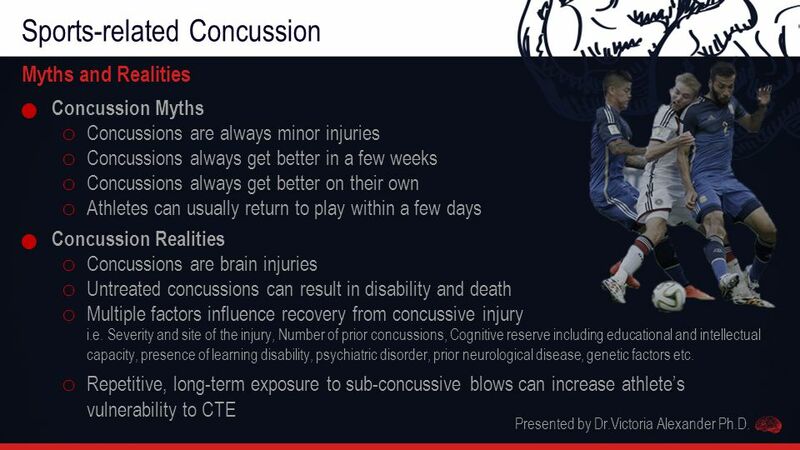 Concussions in Youth Sports The Parents James Cocivera. Mild Traumatic Brain Injuries Stephanie T. Leive, ATC Certified Athletic Trainer UPMC Sports Medicine Winchester Thurston School. 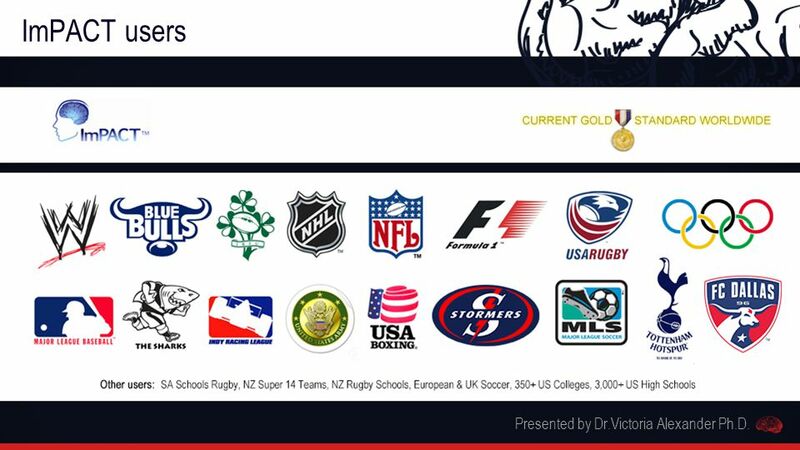 Altoona Area School District In cooperation with. 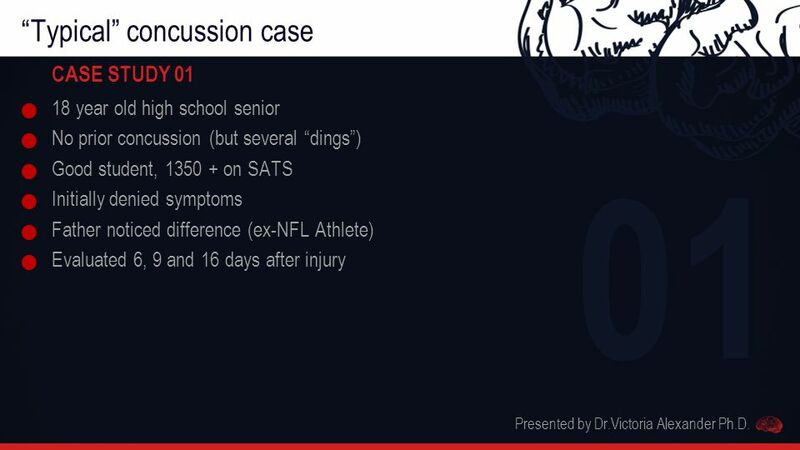 Minor Head Trauma in Children and Adolescents Bill Ahrens The University of Illinois at Chicago. 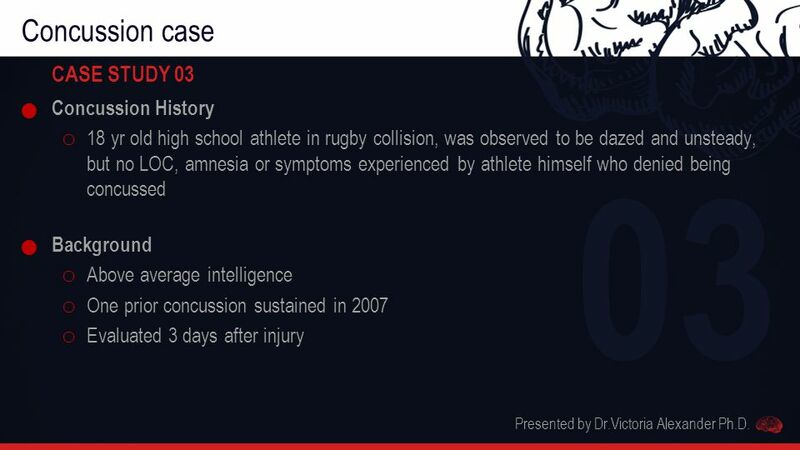 Sports-Related Concussion George C. Phillips, MD, FAAP, CAQSM Clinical Associate Professor of Pediatrics Sports Medicine Rounds October 16, 2008. 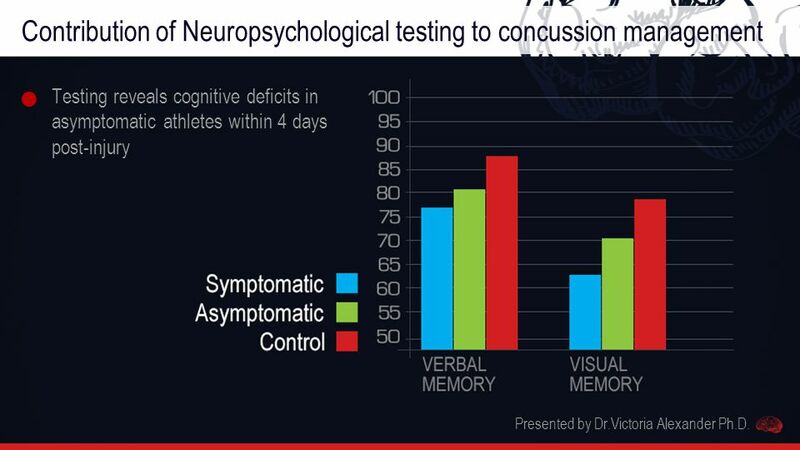 Concussion: Definition, Demographics, Signs & Symptoms Andrew Gregory, MD, FAAP, FACSM Associate Professor Orthopedics & Pediatrics Team Physician, Vanderbilt. 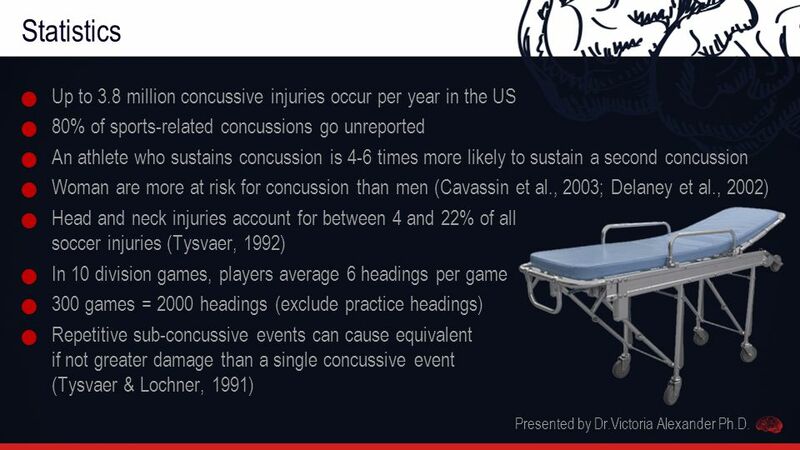 Head Injury Treatment Sports Medicine. 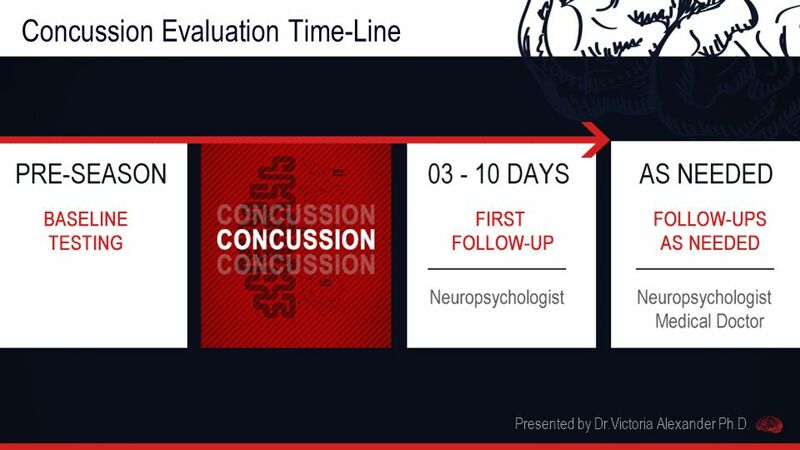 BELLWORK  Remember the head injury you started the Unit with.  What was the treatment you received?  Did you. 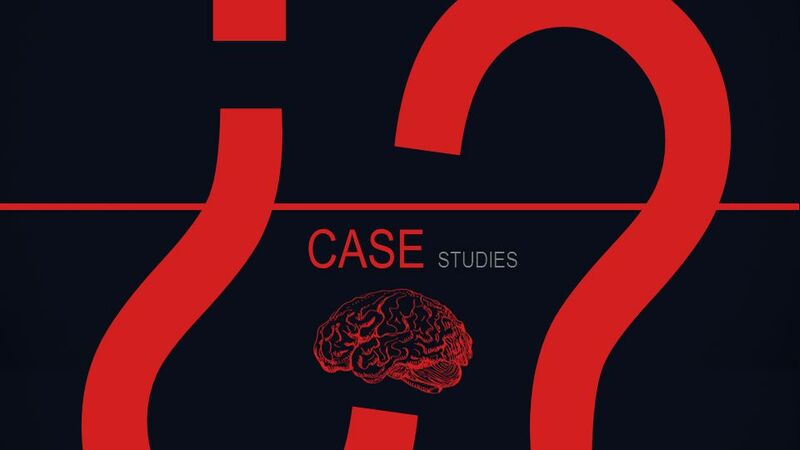 Craig Gross A.T.C., L.A.T. 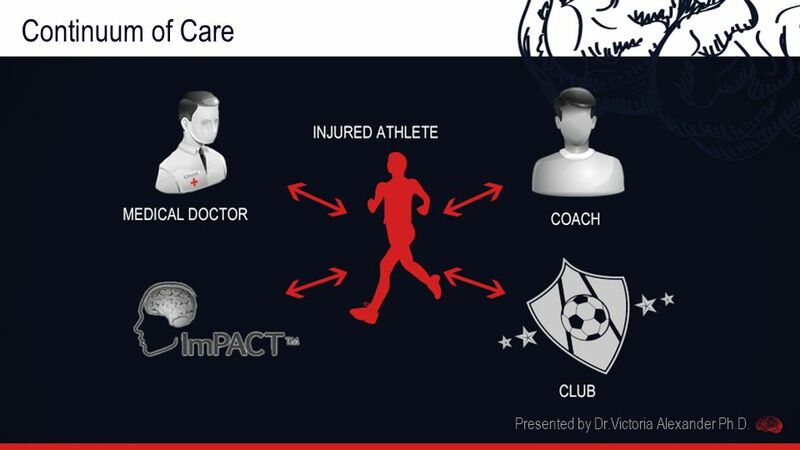 North High School’s Athletic Trainer NORTH HIGH SCHOOL SPORTS MEDICINE INFORMATIONAL PRESENTATION.